The ID/Card Holder is a simple, yet much needed office accessory. It has two inside pockets. The ID/Card Holder is a simple, yet much needed office accessory. It has two inside pockets. Keep currency notes and other small items in them. 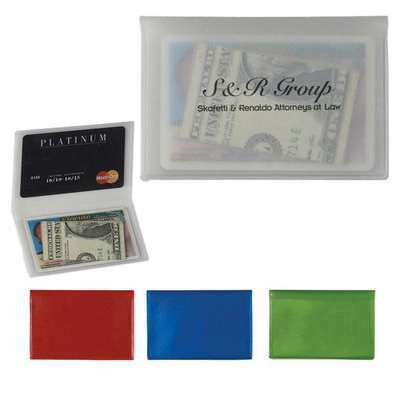 It has a frosted casing for storage and comes in frosted: red, blue, green, or white colors. Imprint your company’s logo on it using standard pad-print colors and promote your brand to a wide customer base. Give it away at trade shows, expos, schools, colleges, seminars, and workshops. This Meryl silver stylus with twist action ballpoint pen is a metal pen with metal clip and stylus top.